Anti-social Rita Krumb is content to live alone in her dark, dreary house. She knows life could be better, but she’s reluctant to change her ways. She’s stuck in a rut. Her elderly neighbour Sophie Tuttle lives in a bright, colourful home with moth balls and Minor’s Liniment. Miss Tuttle is busy coming or going or in her garden courting slugs with geraniums. 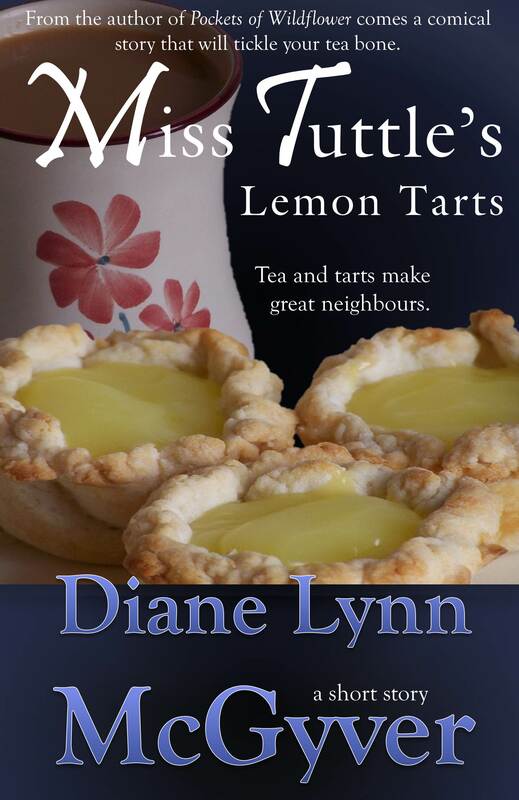 When she recruits Rita to help carry in her groceries, the neighbours strike up an unusual friendship, one that revolves around lemon tarts and a million dollars. Rita turned to leave, not wanting to make small talk. “Dear, you’re younger than I am. Can you open this window for me?” Miss Tuttle stepped aside. Rita hesitated. She didn’t want to stay longer than necessary. The folds of wrinkles on Miss Tuttle’s brow shadowed her green-grey eyes. More than seventy years of gravity had dragged them from their original location. The piercing eyes stared at her, waiting for her to move, almost daring her to open the window. Yielding to the stare, Rita leant over the kitchen sink and tugged on the window. The sooner it was open, the sooner fresh air could enter, diluting the old-people odours. And the sooner she could leave. After a few tugs, Rita realized why the window wouldn’t open. The latch hadn’t totally released itself from the plastic lip on the glass though it appeared to have. Rita forced the latch further, holding it there while her other hand pushed open the window. The welcome rush of fresh air blew into her face. When Rita turned, she found Miss Tuttle digging in her purse. She wasn’t going to pay her for her services, was she? Miss Tuttle extracted a piece of paper—it wasn’t money—and ambled to the refrigerator. She held the long narrow paper against the white enamel and placed a “Sophie’s Kitchen” magnet over it to hold it in place. Rita recognised the slip of paper as a lottery ticket. The six large numbers were visible, but the draw date was hidden by the magnet. It must be for tomorrow night’s draw, she thought. 3, 8, 11, 36, 37, 41, she read in silence. She repeated the numbers over again in her mind. What would the old woman do with a million dollars? As far as Rita knew, Miss Tuttle had no family, at least none that cared to visit. Maybe she would donate a large portion of it to charity. I’m charity, she thought. I could use a couple hundred thousand dollars in the bank.